Looking at this still image, can you almost hear the chanting? Now, take a look/listen to/at this video. 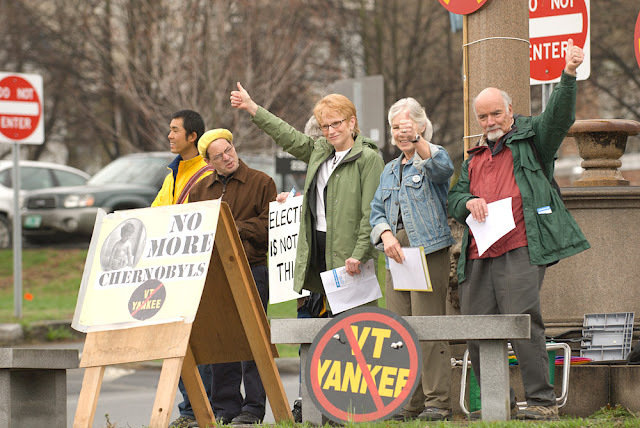 Six miles from Brattleboro is the Vermont Yankee nuclear power plant. Vermont Yankee's reactor is the same model as those at the troubled Fukushima Daiichi nuclear power plant in Japan. The demonstrators also received an occasional middle finger, or a driver revving his truck and intentionally spewing exhaust. 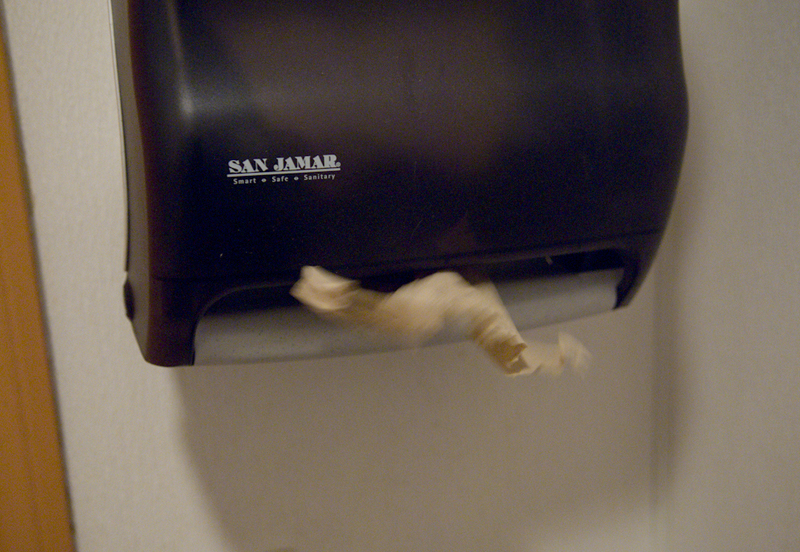 I ducked into a restaurant to use the bathroom and the concept of using electricity to dispense a paper towel in this age of the BP oil spill and the Fukushima crisis seemed excessively wasteful and unnecessary. 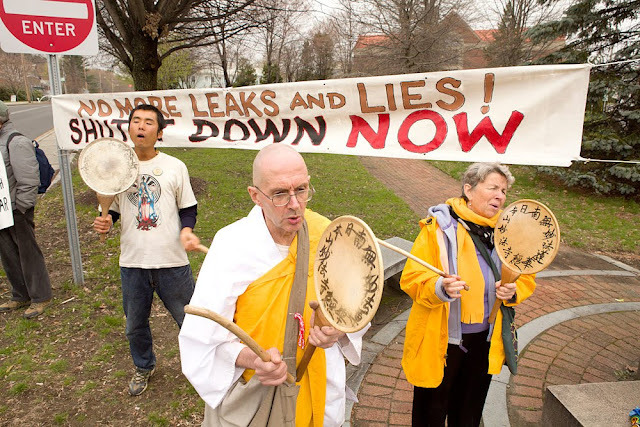 There were representatives from: Citizens Awareness Network, New England Coalition on Nuclear Pollution, Nuclear-Free Future and Taprock Center for Peace and Justice. Also in attendance was Yukio Iimura from Japan, who is in America for three months, walking, chanting and drumming for various causes. The Jabiluka hand symbol represents Aboriginal opposition to uranium mining in Australia. 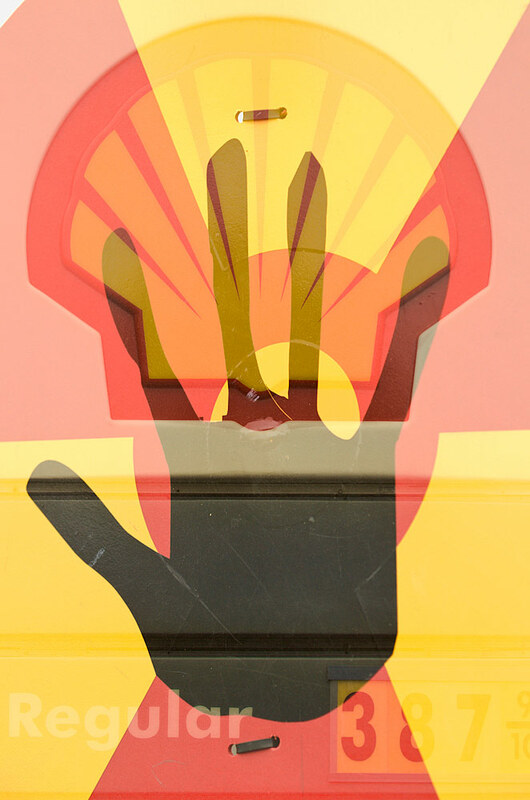 The red and yellow background matched perfectly with the colors of a nearby Shell gas station sign. Using the image overlay function on my Nikon D200 digital camera, I combined two separate images to make this one. Comparing the situation in Japan (and apparently what people think could happen in Vermont) to Chernobyl is inherently flawed. Chernobyl remains a case of government failure -- it is not representative of nuclear power in general or anything that happened in Japan in particular. Connecting nuclear power to nuclear weapons is at least as flawed. It's hard to take these protests seriously when so many facts are ignored. I got the sense that the protestors feel that the idea "It couldn't happen here" is incorrect. Fukushima could not handle the power outage and flooding at the same time - what were the odds? 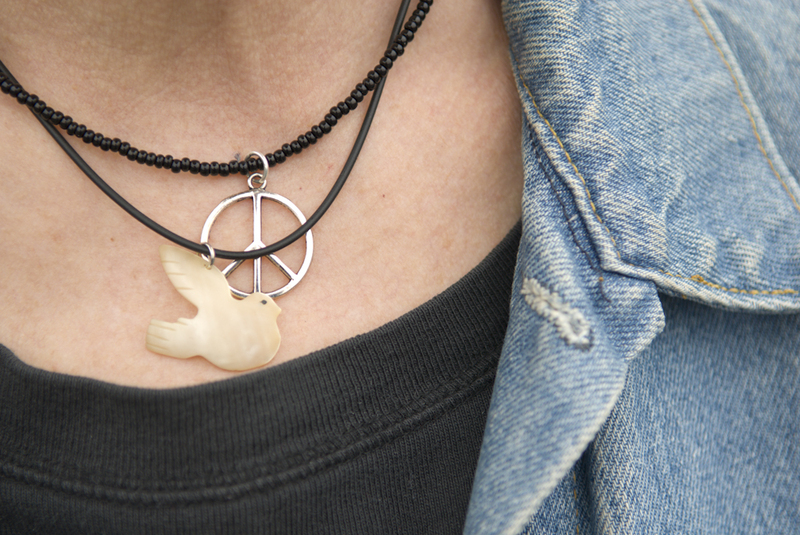 I am interested in people, regardless of their cause, that are willing to take a public stand.